Hour of Curiosity – What Are You Curious About? The Hour of Curiosity is a set of lesson plans, professional development activities, videos and more developed to support student engagement, 21st century education and STEAM. With your support, we can keep this site free! The Hour of Curiosity is a set of free professional development activities for teachers! What is the Hour of Curiosity? The Hour of Curiosity is a bank of resources created and curated by Brian Aspinall as a MPed Math student at Western University. If you wish to contribute, please contact me. When is the Hour of Curiosity? The Hour of Curiosity is not a scheduled event. Rather it is a place for teachers to get comfortable with coding, augmented reality, Minecraft and MaKey MaKey. Some resources are meant for PD opportunities, some are classroom activities and some are student examples. Can I download and share it with other teachers? I want to spread the love of Computer Science and expose as many kids and teachers to it. Yes! Feel free to pin, post, tweet, download and email these resources to your PLN. Why the Hour of Curiosity? 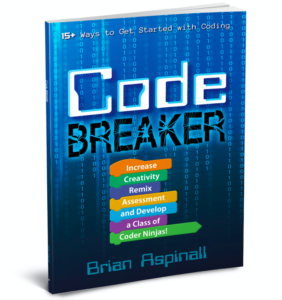 I love the Hour of Code so much, I wanted to create a resource beyond coding. Computational thinking is a critical and is much broader in scope. Being able to combine coding with hardware tangibles and a creative imagination is a powerful synergy. This site aims to bring awareness around computational thinking by linking sound research to curriculum expectations. 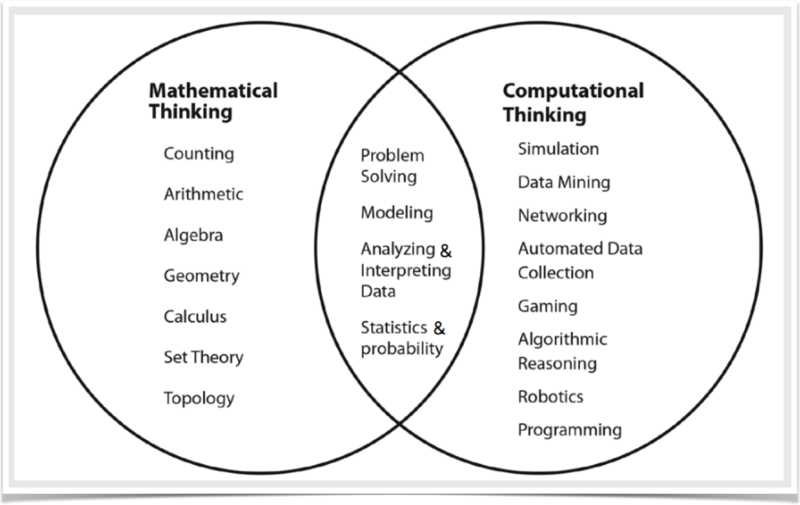 Each page contains multiple video tutorial lesson activities as well as a downloads section which contains a variety of slide decks, PDFs and article relating to the importance of computational thinking in math classrooms and beyond. The materials found within this site are completely free and meant to be utilized by educators (and parents) of students in the elementary panel, although secondary school teachers might find value as well. While the curriculum connections are geared to K-8, the resources and hardware tangibles can be used by all ages. Watching students construct knowledge of the world, those lightbulb moments, are every educators dream. Making curriculum authentic, contextual and meaningful allows us to further deepen our understand of the world. By having students code simulators with Scratch, build structures in Minecraft, or monitor amounts of moisture in soil using Micro:Bit, students engage in wide wall activities (multiple entry points) that encourage trial and error and are conducive to collaboration and growth mindset. The hardware tangibles listed in this resource require addition computing devices like a Windows PC or Mac as well as some level of understanding of syncing devices, circuitry, conductors and insulators. As I reflect on the last two years, my thinking about assessment and evaluation has changed immensely. Redefining failure is compulsory before attempting the activities listed in this resource. If failure means to try something that doesn’t work – learn from it – and try again, students will be able to create content, invent apps and technologies and change the world. Early on in my teaching career, my math classroom was scored based on quantities of correct answers. Typically the questions were all the same (knowledge / understanding) and there might be a thinking question at the end of the worksheet or quiz. As I reflect on my own pedagogy (while dissecting Growing Success) I have completely changed my definition of failure. In fact, learning from mistakes is something to celebrate rather than punishing students for a 4/10. Take some time to learn about constructivism and constructionism. Read Mindstorms by Seymour Papert. Code a simulator using Scratch. You will see the spiralled curriculum, problem solving process, challenges, failures and successes that follow. Finally, my other “ah ha” has come from thinking about Math Process expectations as competencies while using curriculum expectations as content. Perhaps we can use the resources here to teach collaboration or computational strategies while exploring probability simulators. I am writing the reflection publicly because I believe in being a visible, transparent learner. I look forward to hearing your thoughts and seeing what you do with your students using the content on this site. Check out these free Computational Thinking resources!